I stopped the movie and went back to watch the scene again. Cody, a funny, 30-year-old white man, paraplegic to a casual viewer, had already explained, from his wheelchair, in a voice somewhat difficult to understand, about how, on his first birthday as a “normal” baby, he had wanted to go for a swim. His mother and nanny had been getting ready to take him to a waterpark, but Cody went to their backyard pool instead, not knowing how to swim. “And now I’m like this,” he says, pointing out the irony and laughing loudly. Cody’s sense of humor had already come through to me, as I prepared the subtitles for this film. But as I transcribed what Cody seemed to be saying now, I hit a moment of cognitive dissonance and I had to back up. “I see myself as someone who has different abilities. I don’t see myself as disabled,” says the man in the wheelchair. Did he really say that? Oh yes, he did. 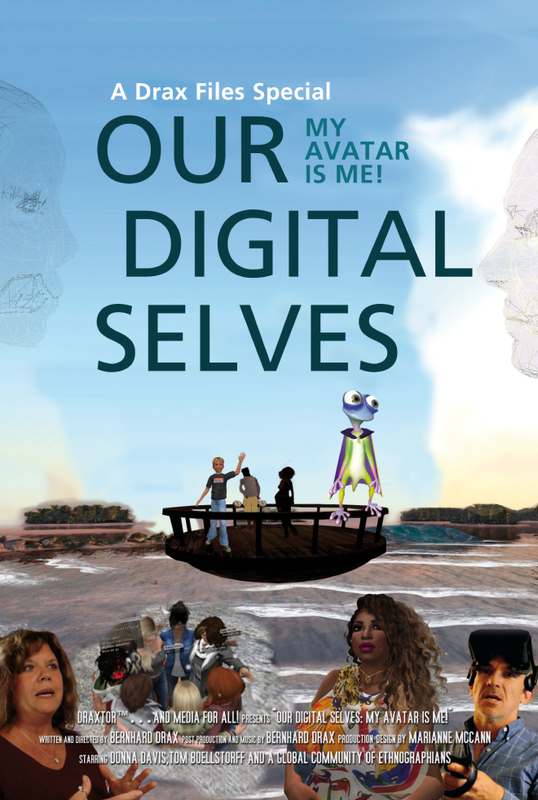 This new documentary presents interviews with avatars, and sometimes the humans behind them, as an anthropologist and a communications expert attempt to bring together a group of differently abled people who find themselves “upgrading through the experiences,” as Slatan, one protagonist, says, in the virtual world of Second Life. 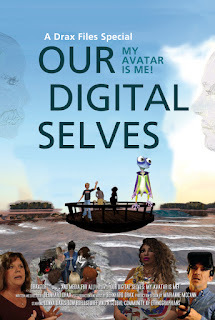 The name Tom Boellstorff (pronounced “Bell-storf”) will be well known to many: his serious 2008 anthropological study, Coming of Age in Second Life, is still basic reading for anyone working or researching virtual worlds now, even 10 years later. In his latest project, he has formed a community of 30 differently abled people within Second Life called “Ethnographia,” creating a safe space for qualitative discussion, and therefore real research, on the individual experiences of disability. His colleague and-- as she sometimes comes across in the film-- co-conspirator, Donna Davis, with a background in communications journalism, focuses her research on how communities form and share information as social capital in the virtual world. The researchers, together with a grant from the National Science Foundation, have, for the last three years, given land to anyone in Second Life who identifies, or is identified as, “disabled,” and the resulting documentary, presenting people in their own words, is something everyone should see. One protagonist, Shyla, who symbolizes herself in her avatar as a small gecko lizard with a cape, explains that she is a “super gecko” in Second Life. “Why?” Drax asks. “Because I wear a cape,” Shyla jokes back. But in her super form, she finds super powers to write super poetry and creative non-fiction: “In mob fervor, they blame disabled for disability, impoverished for poverty, religious without charity, or clarity, or integrity. The children sing on, ‘Armageddon, this is Armageddon. Armageddon, the game I like to play.” And the sound of her voice reading resonates with everyone who has ever been blamed for their disability, impoverished for their poverty, or berated by so-called religious fervor that had no, as she says, charity, clarity, or integrity. And so it is, with everything that is said in the movie. Everything resonates; everything is important. I had come into Second Life myself when I was a caregiver for my mother who has MS: trapped back in my small hometown, where I had never felt at home, I longed for social interaction that went beyond discussions of the next local car show, which beauty shop you go to, or which church. And I found that in Second Life. I found friends, communities, concerts, classes, discussions, assholes, freaks, and lovers. The man I would go on to marry in real life, and move to Germany to be with, was my virtual neighbor in the Second Life New Orleans Swamp Hostel. So maybe Second Life is more important for those of us who can see it for what it is. But this movie is not about debating the question of whether Second Life is a game or not. 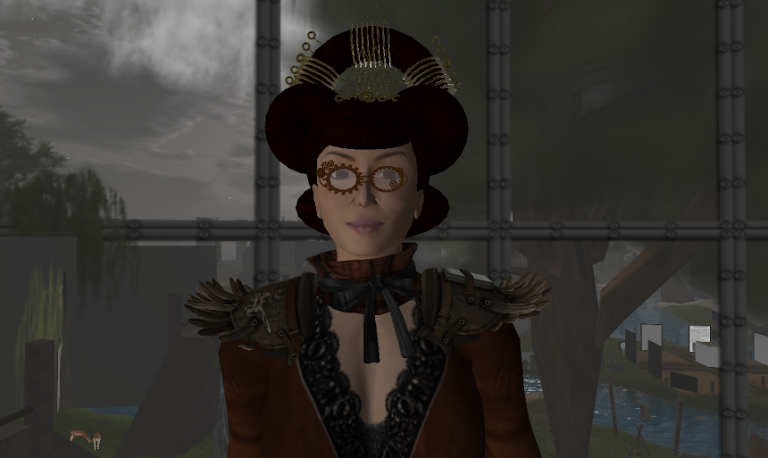 True enough, when iSkye says that Second Life gives her the ability to be “text-enabled,” to get to know people in a way that, as a deaf woman, allows her more time and clearer understanding in her communications, it’s about Second Life. When she says that she is “in a foreign country in real life!,” I could also hear that as an homily to Second Life. But when she goes further, saying that she felt treated as if she were a piece of furniture as a child, because others could not communicate with her, it transcends anything specific to SL or even to virtual worlds in general. It stirs me instead to remember our “real lives,” and how inhumanely we often treat those whom we are incapable of communicating with there: our loved ones; children; a neighbor with Alzheimer's. I had volunteered to do the closed captions for this movie pro bono, as the subject, the people, and the research are all important. The voices should be heard, and if they cannot be heard, they deserve to be read. But I didn’t realize how the project, over the three months I worked on it, would impact me personally. This movie makes me want to be a better person, a more responsible human. When Shyla asks normally enabled people to not set Olympian expectations on her ability to deal with her life day to day, I think, YES! THIS is what is wrong with us as a culture: watercooler talk pits seemingly abled-bodied people against each other, each describing how Olympian their own exploits were that day or the day before: we come to EXPECT Olympian feats from each other, in the able-bodied world, and we apologize and are made to feel less than human, if we cannot comply. As I listen and watch, I come to understand that it is not these folks who are disabled: the disabled ones are the ones who cannot see, who cannot accept others for their different abilities. The disabled ones are the ones who look at a guy in a wheelchair and, if they can’t “fix” him, they stop looking. The disabled ones are the ones who will not be able to look beyond the cartoon appearance of virtual worlds, or even of this movie, to listen and learn from other human beings whose daily lives are so much different from their own. The disabled ones are those who cannot see beyond appearances to respect the human there. And this time when I see it, I think, “DAYUMMMM! He’s right! I cannot work a freaking trackball with my foot!” But more importantly than that, I can never be Cody. Fortunately, I don’t have to be. As he says in the movie, he’s full of himself. Turn the captions on if you want to see the small part I played in this awesome experience.